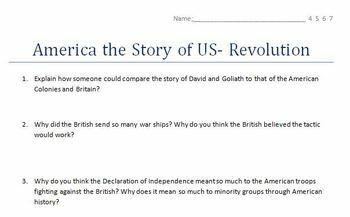 3 differentiated worksheets that follow the History Channel miniseries America the Story of Us- Episode 2 Revolution. This episode can be found on YouTube. The worksheets are for low-level learners, proficient learners and mastery level learners.